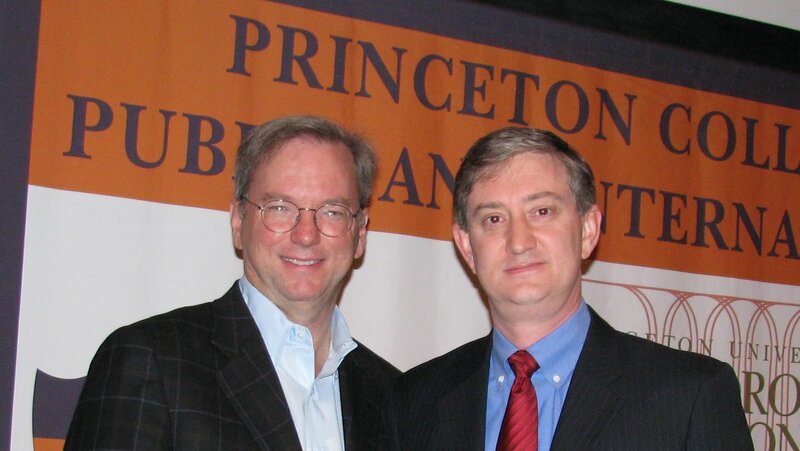 Personal note about attending a celebrity event at Princeton University: I watched the morning events “live,” managing to get a seat by arriving well in advance of the Google talk. For the 3 p.m. Paul Krugman talk (see below), I was not so lucky. I could have watched from a different room, but since it was to be streamed live from the princeton.edu website, I went home and it worked pretty well. It was hard to read the small print on the PowerPoint slides. And before Krugman had finished (how long before I don’t know, he was answering questions), the website went down and on came some really bad music and a series of announcements about events that had already taken place. There must have been an automatic cut-off at 4 p.m. So it’s worth it to get there early.